The preliminary recommendation of the Vilas County DNR Deer Advisory Council (CDAC), meeting in Boulder Junction last week, was to continue the position to maintain the deer population, allow antlerless harvest by youth, and have a small antlerless harvest by permit for the 2019 deer season, split between public and private lands. DNR wildlife biologist Michele Woodford reported the total 2018 deer harvest in Vilas County was 2,360 from all sources made up of 1,448 bucks and 912 antlerless. The harvest on private lands were 812 bucks and 592 antlerless. On public lands it was 636 bucks and 320 antlerless. The harvest averaged about three deer per square mile of deer range. The estimated population was 17,500 or 23 per square mile of deer range. One surprise was a drop in the antlerless youth harvest on both private and public lands. On public lands the 2017 harvest was 110 and dropped to 94 and on private lands went from 250 in 2017 to 217 last year. Two persons made formal statements. Duane Harpster of Boulder Junction felt there should be more than one location to determine winter severity and stated “the best deer management system we had was with the hunter choice permits.” John Krause pointed out the popularity of antlerless permits sold out in just a couple of hours they were available or sale. The Vilas CDAC approved to continue the position to “Maintain” the deer population. One a vote of 4-1 they favored a youth antlerless harvest be available. On a vote of 3-2 they favored a preliminary antlerless havest of 200. A motion to split the harvest 60- 40 between private and public lands failed 2-3. A motion to set it at 70-30 carried 3-2. This would allow 350 permits sold for private lands and 150 for public lands. 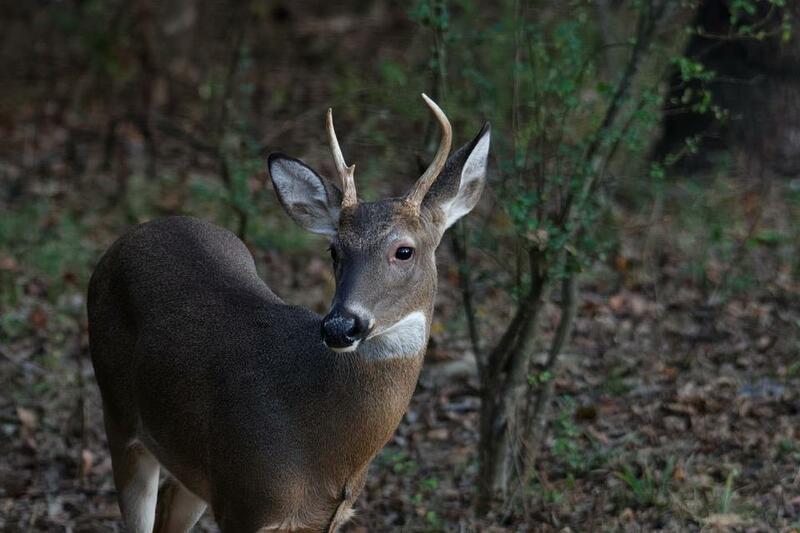 The CDAC meeting to set a final recommendation to DNR will be on April 15 in Boulder Junction Community Center starting at 6:30 p.m.
Each county in Wisconsin has a County Deer Advisory Council (CDAC) to provide input to the DNR on deer management within their county. Councils work with local staff to schedule , review population data, and deer impacts on forests and agriculture, develop 3-year recommendations on county populations and create annual antlerless harvest quotas. This is the fifth year of CDAC's. Councils throughout Wisconsin will hold meetings the week of March 11 or March 18 to start the antlerless harvest quota and permit setting process for this year's deer seasons. The snow is deep in the Northwoods, so the temptation is to help your nearby deer by feeding them. "...We have a number of counties where baiting and feeding is banned. Vilas, Oneida, Lincoln line and any of the counties east of there feeding is not allowed. If your in a county where it is still legal, it isn't always the best choice...."